Kate McCann has made an emotional phone call to the parents of a little girl who went missing in Spain. 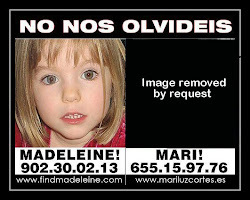 The mother of missing Madeleine McCann, spoke to the couple after her private detectives met the parents of Mari Luz Cortes to investigate links between the two cases. Mrs McCann offered her support and told them they were in her thoughts, the Daily Mail reported. 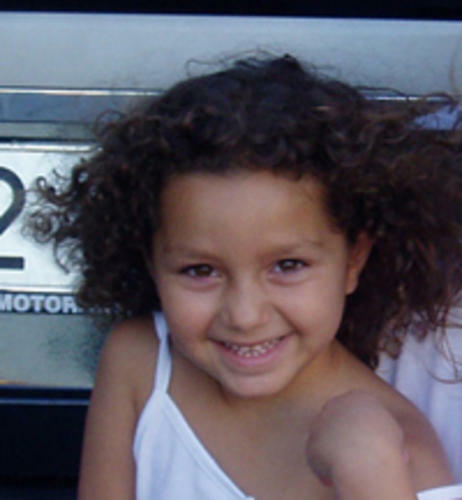 Mari Luz, aged five, disappeared when she went to buy crisps near her home in Huelva, south west Spain, at about 5pm on Sunday. Her father Juan Jose Cortes, who is an ex-professional footballer, thinks his daughter may now be in Portugal. The border is about a 30 minute drive away and is thought to be the fastest escape route out of the police cordon. Mr Cortes said: "Kate McCann has been in touch to transmit her condolences. "She knows what we're going through and I understand them now too." Gerry McCann also spoke of the couple's extreme concern for Mari Luz on his blog. The Barcelona-based private detectives Metodo 3, who have been hired by the McCanns, have spoken to Juan and his wife to see if the two cases may be connected.